With summer around the corner, Lake Oswego is heating up and I’m not just talking about the weather. The housing market in Lake Oswego is hot and here’s the evidence to back that forecast up. The median price of homes in Lake Oswego has gone up 12% in the last 12 months to $660,000. This compares to a historic 6% climb each year. The average listing price of homes in Lake Oswego in March of this year was $1,061,091, a slight increase from last year’s $1,036,189. The average sales price in March was $839,631 compared to $749,141 a year ago. 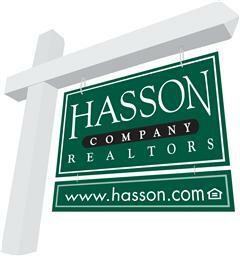 Fifty-five homes sold in Lake Oswego in March with an average 49 days on the market. Last March 49 homes sold after spending an average of 62 days on the market. The current inventory is 3.6 months, same as last year. The entry level house in Lake Oswego is now just under the $400,000. A year ago it was $350,000. Folks who bought then have already made money on their investment. That’s it for statistics. Let me offer some anecdotal evidence. Last month I listed a 5 bedroom 2 bath 1,680 square foot house in the McVey/South Shore neighborhood for $459,900. It received three offers and sold in one day for $15,100 over asking price. I was the sales agent on a 3 bedroom, 2 ½ bath 2,201 square foot home in the Palisades neighborhood representing my clients along with three other offers. Ours was the winning bid at $60,000 over the $625,000 asking price. Higher priced homes are moving as well. A 5 bedroom 3 bath home with 3,523 square feet in the Forest Hills neighborhood sold after six days on the market for $1,425,000, just $24,000 under the asking price. I represented the buyers in the sale of a home on the Blue Heron Canal which sold for $2,850,000 before even going on the market. Another home on the Blue Heron Canal sold in 24 days for $2,600,000, just $50,000 under the listing price. I’m finding several buyers are opting out of Lake Oswego and looking into West Linn and Tualatin in order to find a house and price that would work for them…and even that proves challenging. The bottom line is that the housing market in Lake Oswego continues to be strong due to lack of inventory. Last summer inventory did pick up and it appears that it will continue that trend this year. So if you’re thinking of moving to Lake Oswego, it’s more important than ever to work with an experienced Realtor who can match your needs with what’s available (sometimes before it even comes on the market!) I’ve been helping people move in, out and on for over 25 years and would love to put my experience to work for you! Give me a call at 503.939.9801 and/or check out my website. This entry was posted in buying a home in Lake Oswego Oregon and tagged buying a home in Lake Oswego, Lake Oswego housing market, Lake Oswego Oregon, moving to Lake Oswego. Bookmark the permalink.